The Campbell family would like to thank all competitors and spectators who attended todays event. 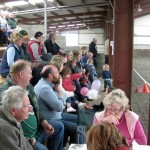 Thanks also to Millershill Equesterian Centre for the use of the venue.It was a good turnout for the last of the indoor events.Food Hampers were presented to the stewards for all there hard work over the past 4 weeks. 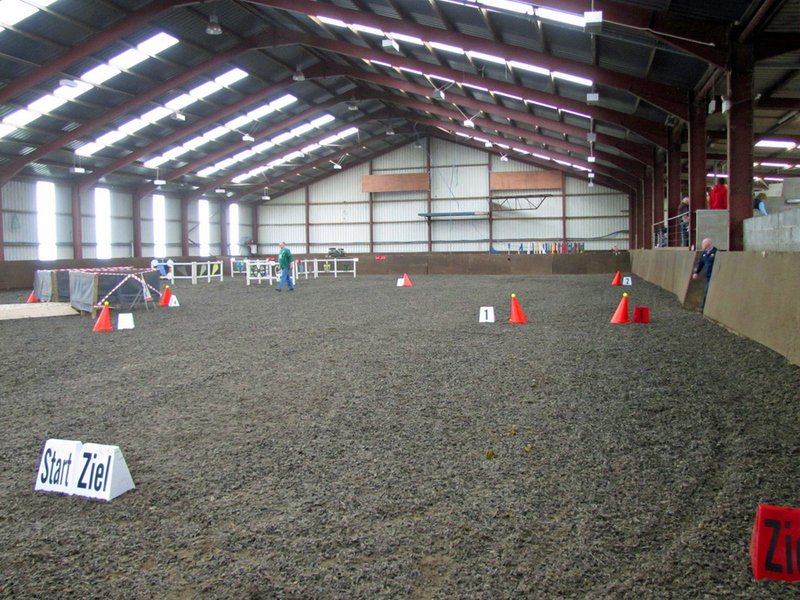 On Sunday 01 April, competitors from across Northern Ireland gathered at Millershill Equestrian Centre for the finale of the indoor driving league. It was a tense wait for competitors as honours in many of the classes could be swayed by just one ball down or one wrong turn. 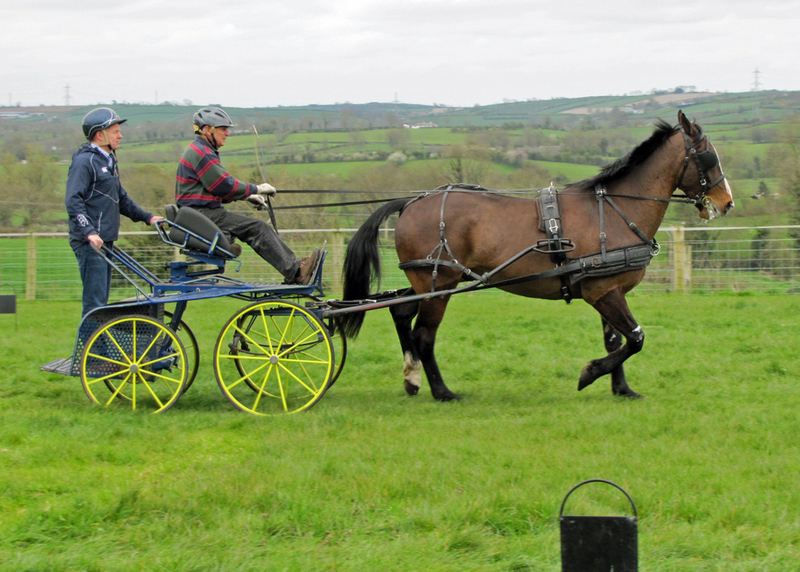 In the pony class Judith Lyttle combined speed and precision to take the top spot on the day; however this was not enough to topple Jim McCoosh from first place in the league. Unfortunately for Alwyn Morrison luck was not on his side when a pole strap became undone during his first round. Although he did not incur points for this it affected the rest of his round as he had to finish at a much lower speed than he is accustomed to. Pony Class: 1st Judith Lyttle, 2nd Jim McCoosh , 3rd Edward Goodwin. Horse Class: 1st Dorothy Kelly, 2nd Edmund Bryson, 3rd Alex Bryson. 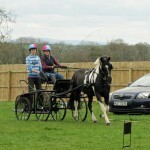 Pony Pairs: 1st John Goodwin 2nd Rachel Campbell 3rd Alwyn Morrison. 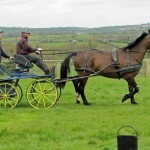 Now we are all ready for the outdoor events, 1st being Micknanstown 2DE (Judith McKeever) 28th/29thApril, followed by Tynan, Armagh.6th may -(Alwyn Morrison.) 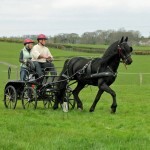 Then Randalstown ODE (Eddie Ingram) 26th May. 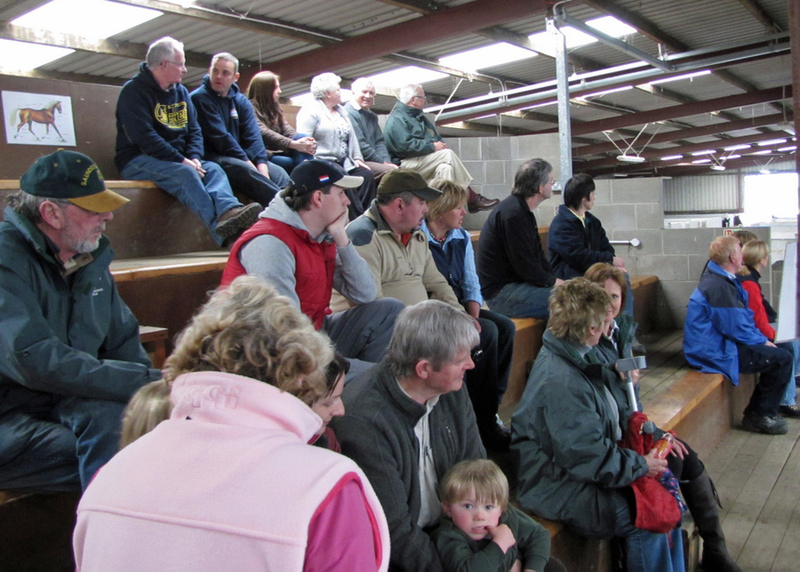 The glorious sunshine welcomed everyone to Knockagh View Equestrian Centre, the venue for the 3rd NICDA indoor. 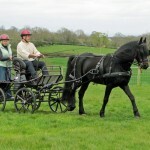 The day kicked off at 11.30 with the ever popular Pony Class. Much to the delight of dressage judge Jeffrey Lyons, the dressage phase was held outdoors in the unexpected March sunshine. Edith Crawford (Pony Class), John Goodwin (Pony Pair) and Alwyn Morrison (Pony Pair) set a high standard, all obtaining a 37 in dressage. 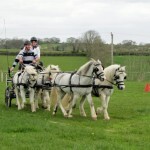 Alwyn’s score gave him a good footing as he took the honours in the Pony Pairs Class for the 3rd week running. Pony Class: 1st Jim McCoosh, 2nd Judith Lyttle, 3rd Edith Crawford. Horse Class: 1st Alex Bryson, 2nd Dorothy Kelly, 3rd Robert McNeill. Pony Pairs: 1st Alwyn Morrison, 2nd John Goodwin, 3rd Rachel Campbell. Sorry I couldn’t be with you at Knockagh, hope you all had another great day, the weather was certainly in your favour. Thanks to Edith Crawford and her willing band of helpers. 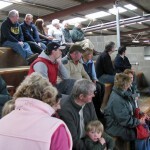 Also thanks to Knockagh Riding School for the use of the centre. 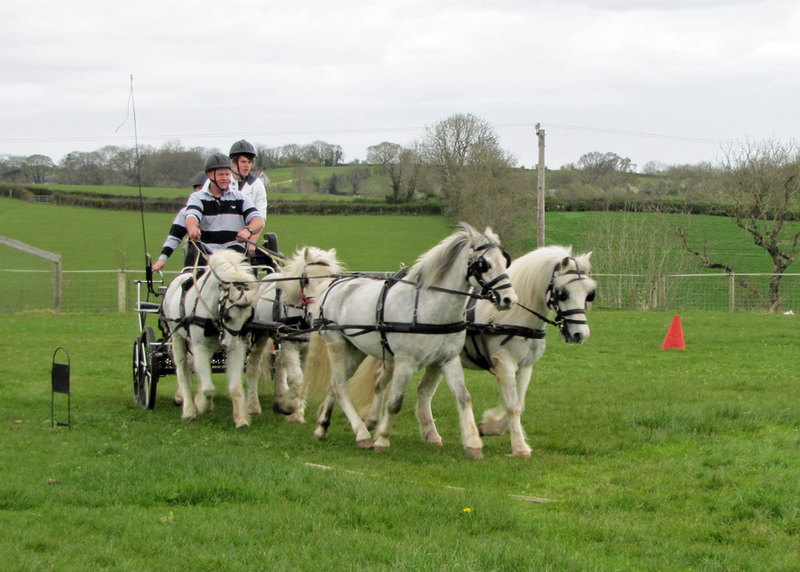 Next Sunday–Millars Hill 1st April, is the 4th. and final Indoors so lets make it a “cracking” Finale!! Some Pics of Knockagh, report to follow. Click in photo to enlarge. Top left arrow to return. For more go to Photo Gallery. 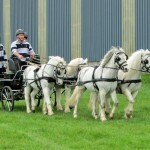 ( Click 2012 Photos then Indoor Events 2012). 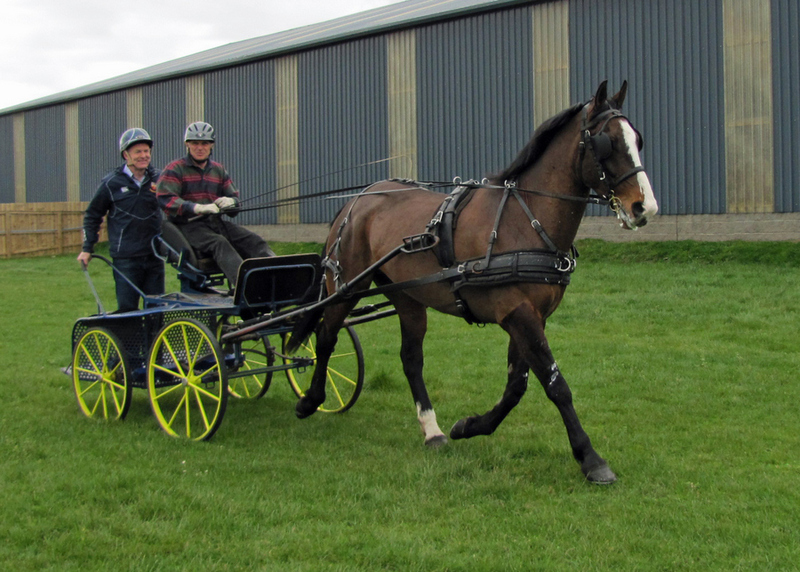 Drivers from across Northern Ireland gathered at Moy Riding Centre on Sunday 18 March for the second of four indoor events on the calendar. 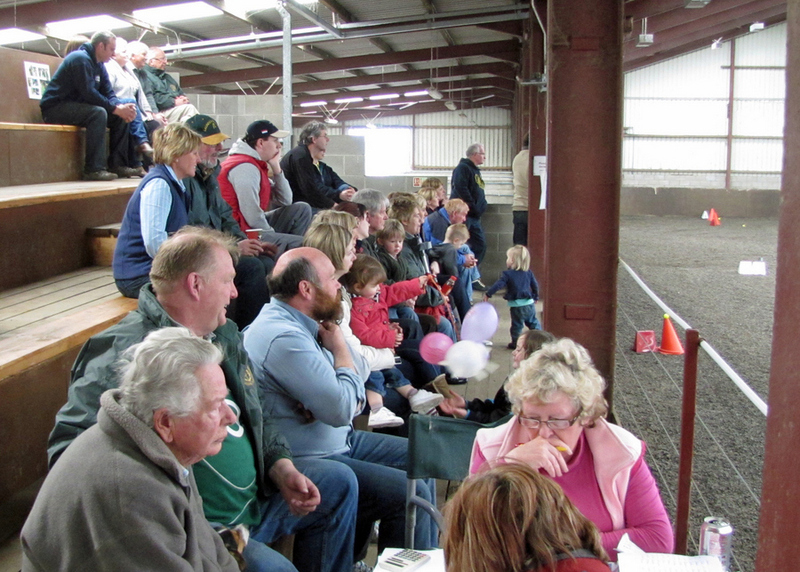 The dressage phase started at 12 noon; however with a twist this phase of the indoor was held outdoors, and thankfully the weather held out. The outdoor area definitely seemed to suit Rachel Campbell who had the best dressage score of the day,in the Pony Pairs Class. 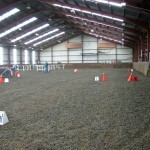 Having the dressage outdoors allowed proceedings to be sped up as competitors were able to go straight from the outdoor dressage arena to the indoor arena for the obstacles and cones. 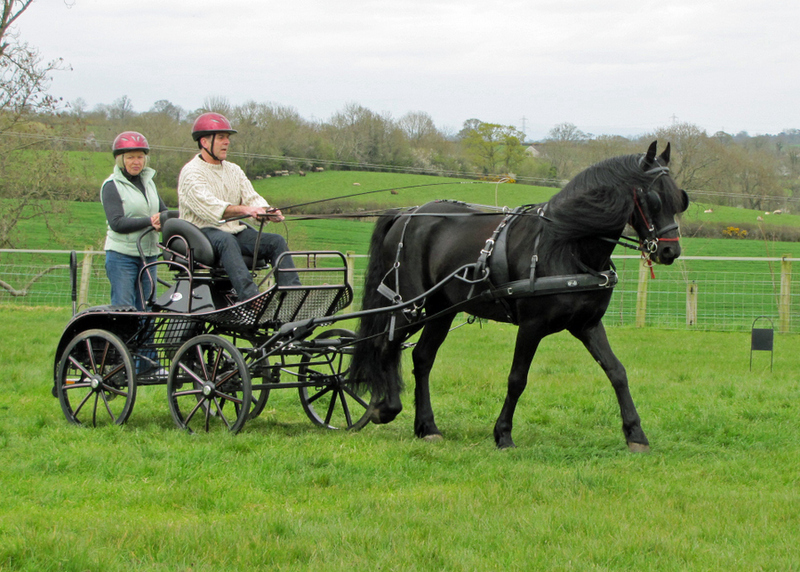 A welcome sight amongst the 24 entrys was NICDA President Gordon Bell who took up the reins in the Pony Class, and got the wheels turning on his new 3 phase vehicle. 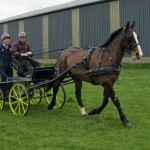 Sporting another new carriage was Alwyn Morrison, winner of the Pony Pairs Class. Again congratulations to all those prise winners at the second indoor competition at Moy at the weekend .Thank you John Goodwin and all his helpers for putting on such a good show, unfortunatly I was only able to see the first few do their indoor cross round , Richard was home from New zealand for a few days ,so collecting him from the airport had to come first. There seemed to be plenty of support for the day which was good to see and a great fun atmosphere. Thanks to the Corr family for the use of their facilities and for their continued support of the NICDA. First Indoor Event of the Year. Congratulations and thank you to all those concerned with the running of the first indoor driving event of the year. I believe it was a great success. An entry of 21 was great and thank you to everyone who travelled to Connell hill to support the event. 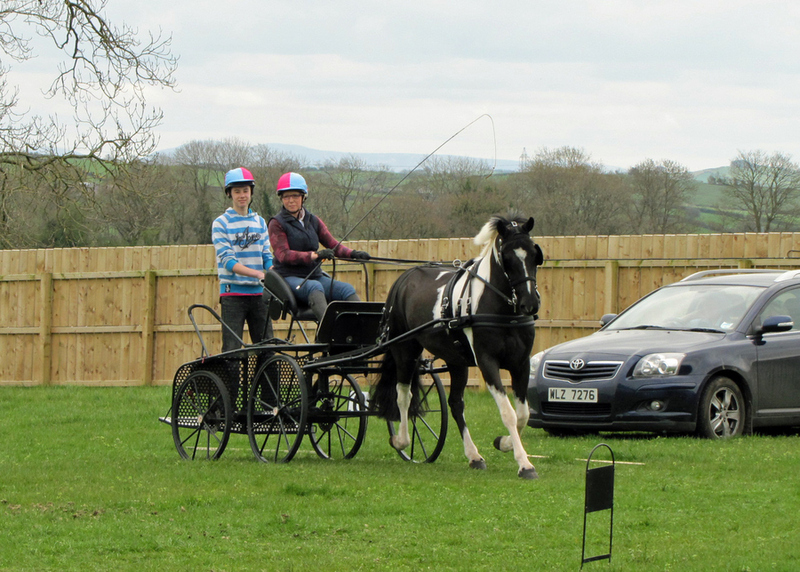 Northern Ireland Carriage Driving Association (NICDA) held their first indoor event of the season on Sunday 11 March at Connell Hill Equestrian Centre, Randalstown. This was the first opportunity for many to put into action all that has been discussed/planned during the long winter nights. Competitors were out in force, with a total of 21 entries. The day kicked off at 11am with the dressage phase; the paces were closely scrutinised by dressage judge Sinead McInyre who commented on the high standard demonstrated by all. The afternoon took on the format of world cup indoor driving where cones and obstacles are combined and driven as one; this led to some fast and furious driving from both the young, and the young at heart. 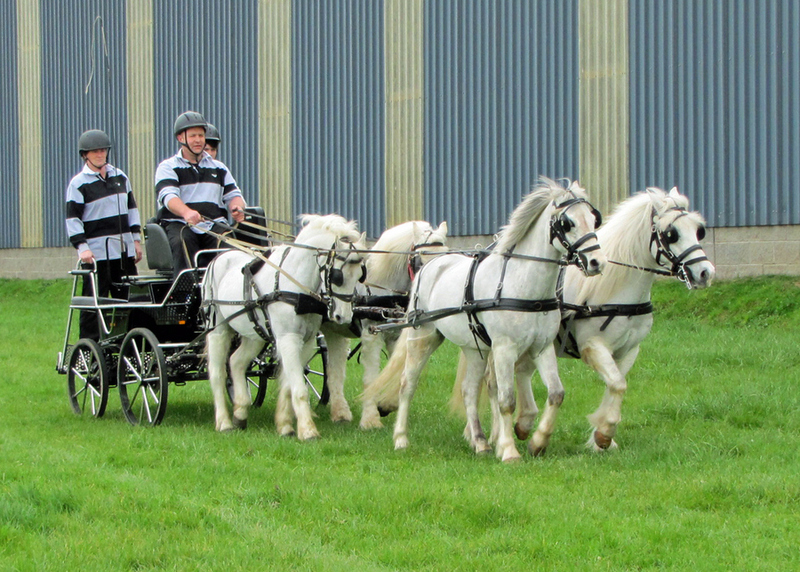 Jim McCoosh was the overall winner of the fiercely contested Single Pony class. 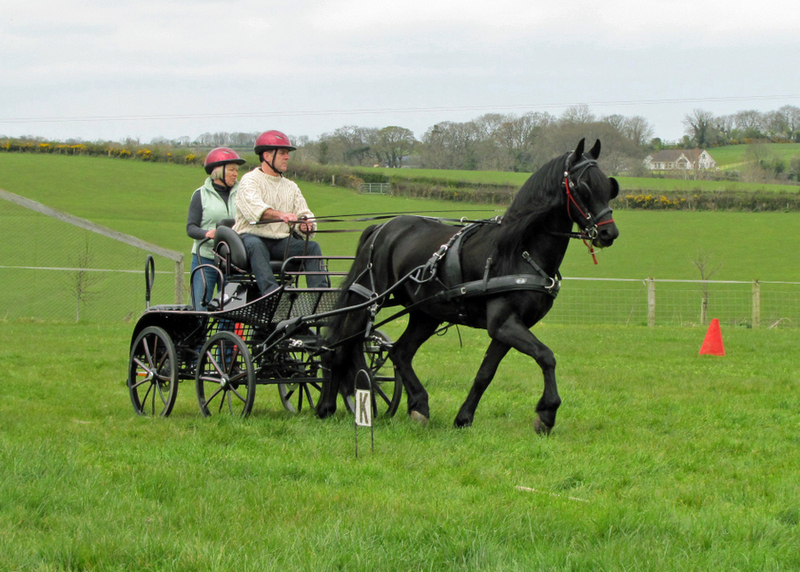 A special mention in this class goes to Keith Morrison and his pony Alistair who put in a good performance in their first ever driving event. Alex Bryson took honours in the competitive Horse Class. The 4 competitors in the Pony Pair Class put up some of the fastest times of the day in the obstacles. Rachel Campbell with her new pair, Major and Sonnet, were hot on the heels of class winner Alwyn Morrison and his pocket rockets. Juniors – 1st Rachel Campbell, 2nd Eddie Goodwin, 3rd Ross Ewing. Here are a small selection of pics from Connell Hill Indoor Event. For more Pics go to Photo Gallery, & click on 2012 Photos.